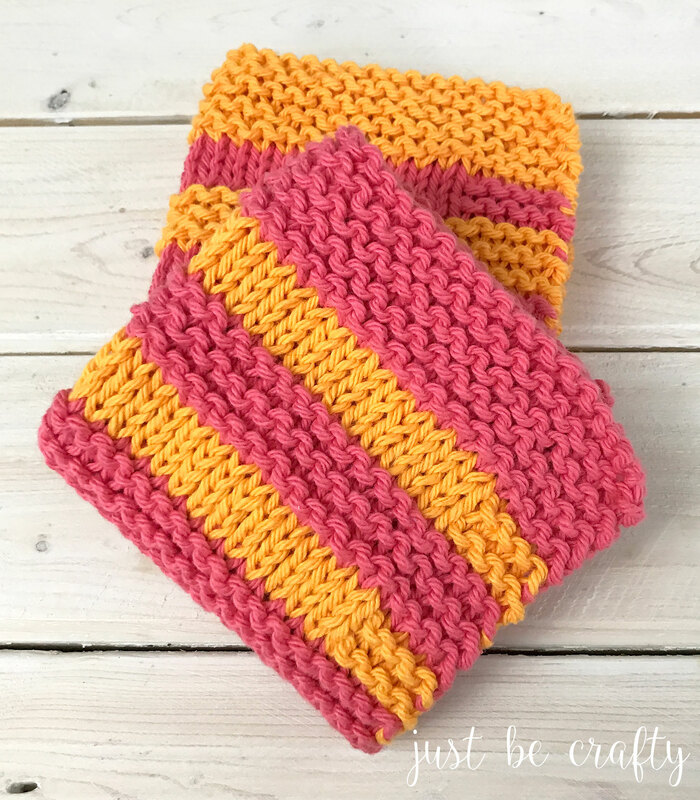 The garter stitch dishcloth is super fun easy to make! 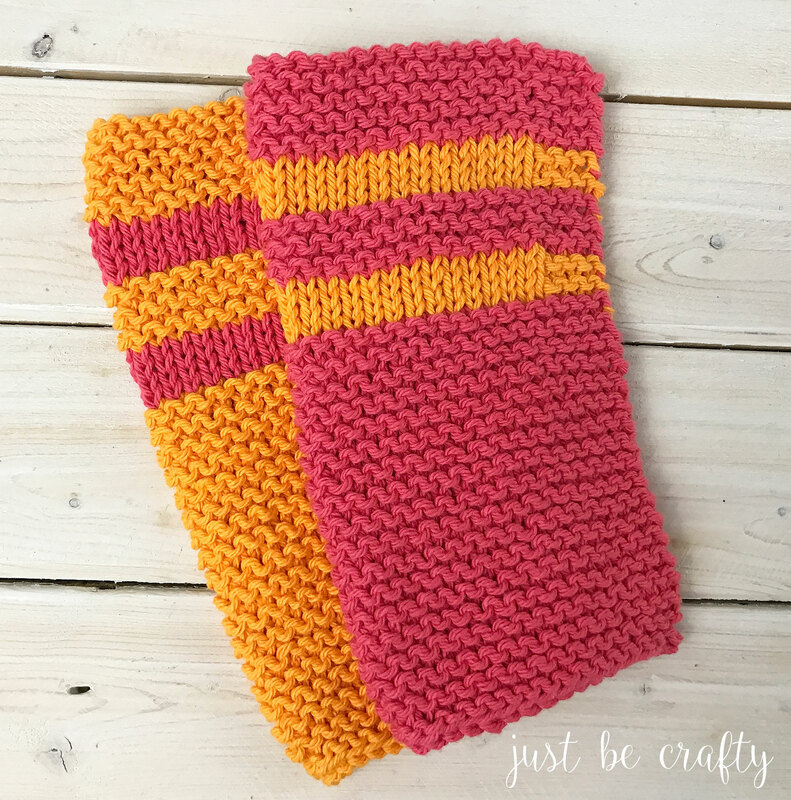 This pattern is beginner friendly and whips up in less than an hour – perfect for that last minute gift! 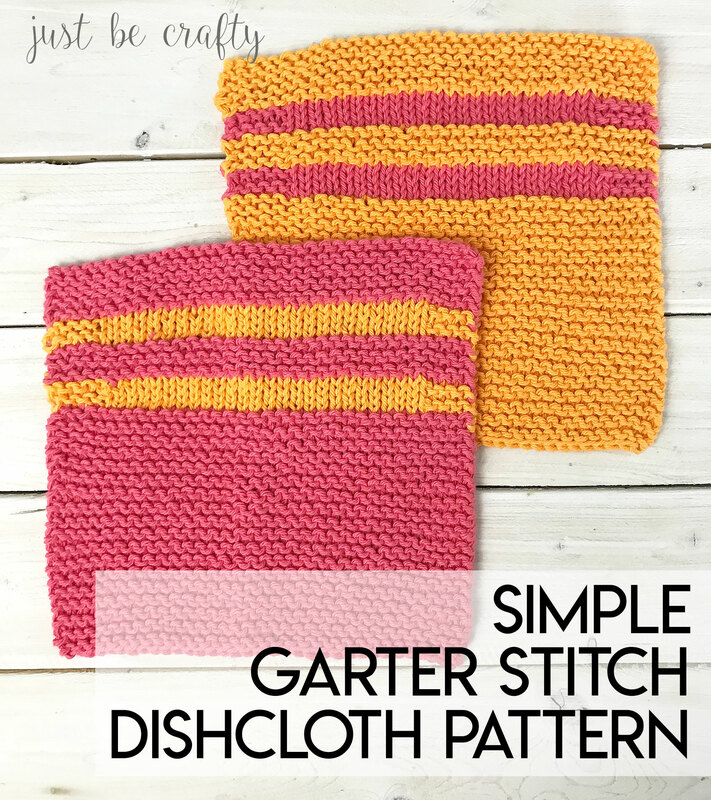 Today I am sharing a fun new dishcloth pattern with you – the garter stitch dishcloth. As the name implies, this pattern features the garter stitch which is the name of the fabric formed when you work the knit stitch on both the front and back of your piece. To break up the monotony of the stitch, I added in two stockinette stripes in a contrasting color. 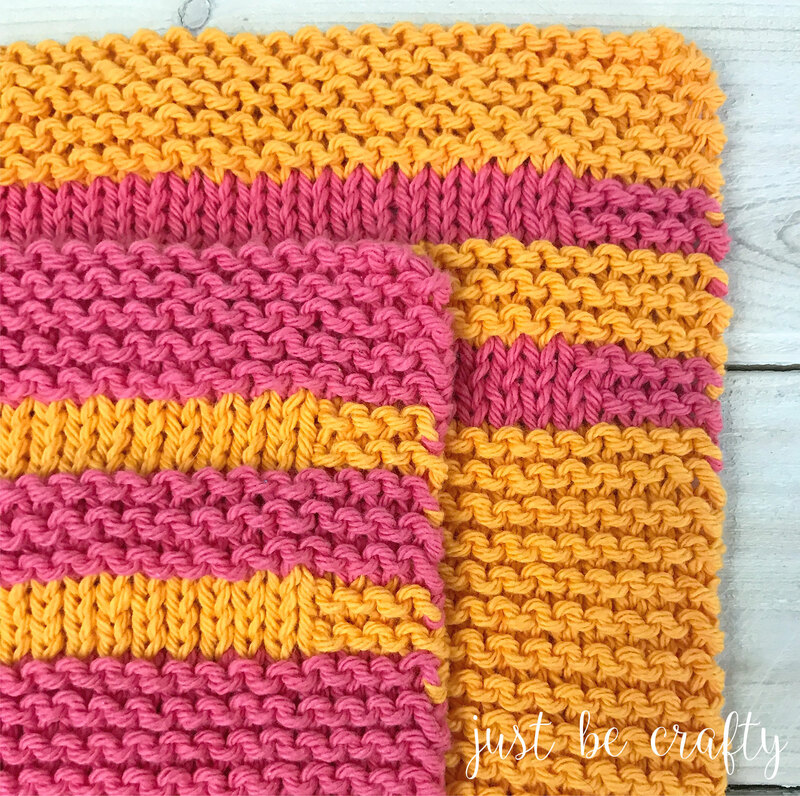 The two stripes give the dishcloths a little more style without over complicating the pattern and also a bit of a retro feel… what do you think?? The garter stitch dishcloth is made with 100% cotton yarn and is super absorbent, durable, and stretchy. I hope you have fun with this pattern. If you’d like to give it a try, keep on scrolling! Cut main color, attach contrast color. Cut contrast color, attach main color. That’s wonderful! I hope you enjoy the pattern! Hi Becky! I’m glad you enjoyed the pattern! The nice thing about this dishcloth is that the cast on stitch count does not matter, you can add as many stitches as you like and the pattern will still turn out. Since everyone knits with a different tension it’s hard to say exactly how many extra stitches you would need, but I would maybe start with 5 extra stitches and see if you like the width. To make the dishcloth longer, you can continue to knit past row 58 until your desired length.